How does the body politic reflect the nature of human embodiment? 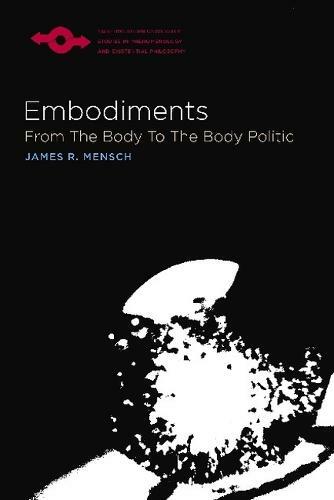 To pursue this question in a new and productive way, James Mensch employs a methodology consistent with the fact of our embodiment; he uses Merleau-Ponty's concept of 'intertwining' - the presence of one's self in the world and of the world in one's self - to understand the ideas that define political life. Mensch begins his inquiry by developing a philosophical anthropology based on this concept. He then applies the results of his investigation to the relations of power, authority, freedom, and sovereignty in public life. This involves confronting a line of interpretation, stretching from Hobbes to Agamben, which sees violence as both initiating and preserving the social contract. To contest this interpretation, Mensch argues against its presupposition, which is to equate freedom with sovereignty over others. He does so by understanding political freedom in terms of embodiment - in particular, in terms of the finitude and interdependence that our embodiment entails. Freedom, conceived in these terms, is understood as the gift of others. As a function of our dependence on others, it cannot exist apart from them. To show how public space and civil society presuppose this interdependence is the singular accomplishment of Embodiments. It accomplishes a phenomenological grounding for a new type of political philosophy.